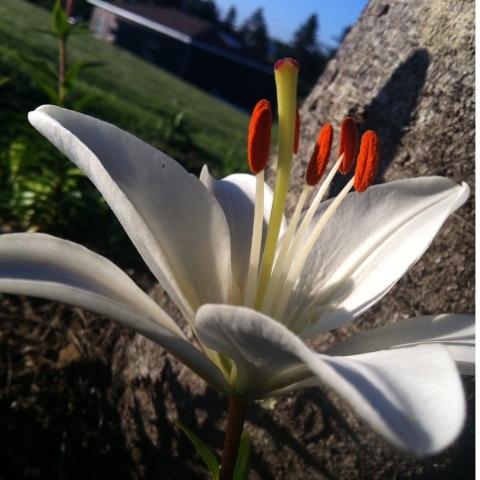 A few years ago, the hubby had brought home a potted Easter Lily as an Easter gift. Lilies are a favorite of mine. I especially enjoy Tiger Lilies. 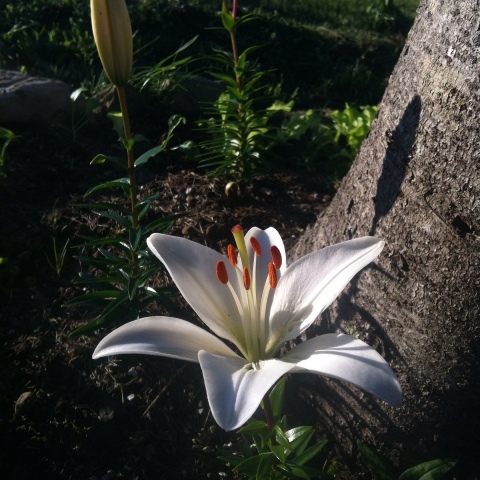 I transplanted the Lilies to my garden area this year, they are beautiful and are finally in bloom. I think I would like to get some Tiger Lilies and plant them amongst all of the others. A few times each week, I walk along the Main Shore Road, past the lake. Sometimes, I walk as far as the beach when I'm on a good regiment. On my travels, I pass a couple small farms. 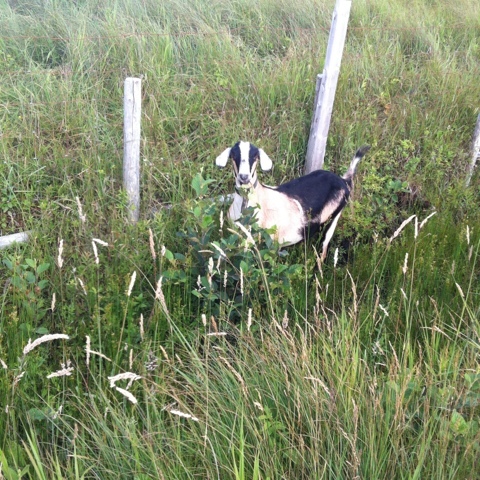 Lately from each of these neighboring farms, goats have been escaping. Tonight, I happened to walk past an escapee who was casually enjoying the leaves on this Alder bush growing in the ditch. 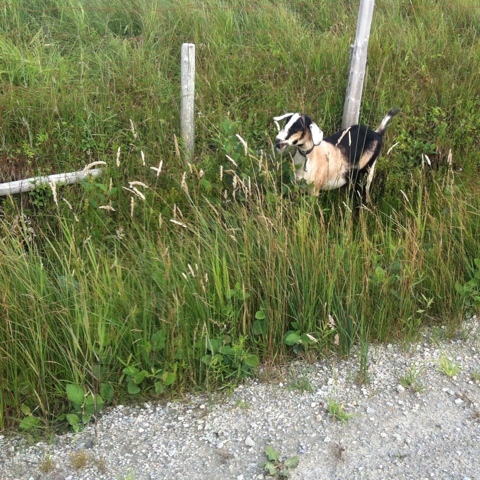 The goat eventually panicked when he realized that none of his goat friends had joined him on the road to freedom. The goat's keeper was very quick to retrieve him and guide him home.